Fort Lauderdale, FL – The price of gas continued, this week, what has become a weekly ritual of increases. However, according to the U.S. Energy Information Administration, this week’s price rise was much lower than recent weeks. That gave drivers something of a break from the break-neck pace of price hikes, but only just. 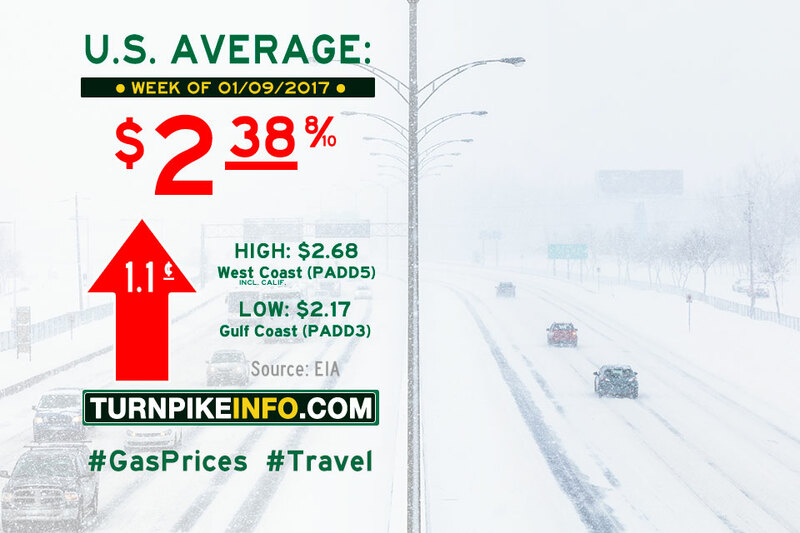 The E.I.A.’s weekly price survey shows the national average cost of a gallon of regular unleaded gas went up just over a penny per gallon to settle at about $2.39. Still, that is likely some relief from the 7-cent hike drivers felt last week. The cost of diesel went up the same price as its petroleum counterpart, according to the E.I.A. As with regular gas, diesel prices went up just over a penny per gallon. The national average now stands at about $2.60 per gallon.